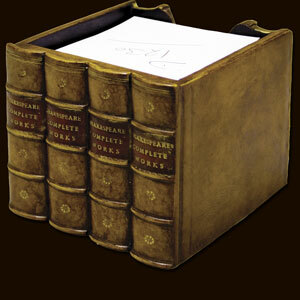 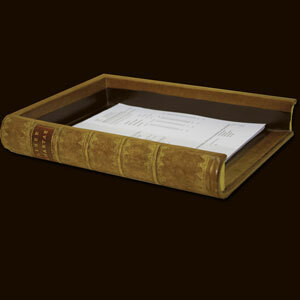 Ref: A0200 Our range of ledger boxes are very popular, they look fabulous and people always need box files. 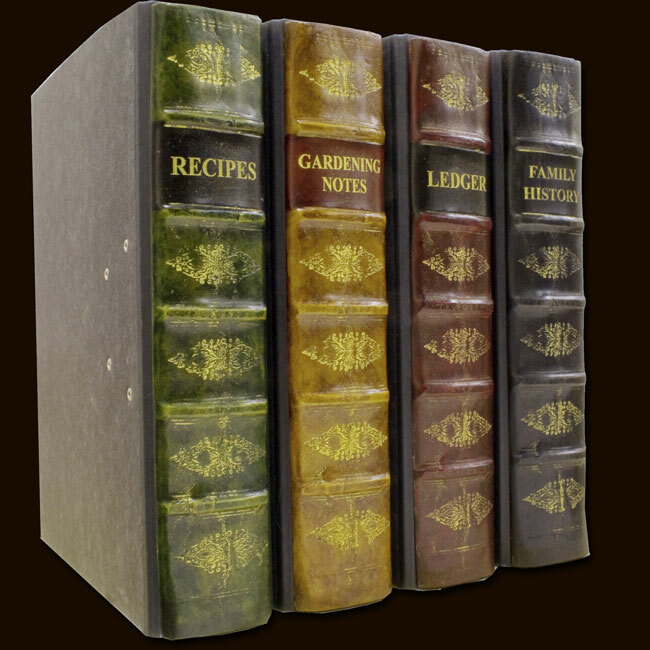 They are now available in a wider range of titles and colours. 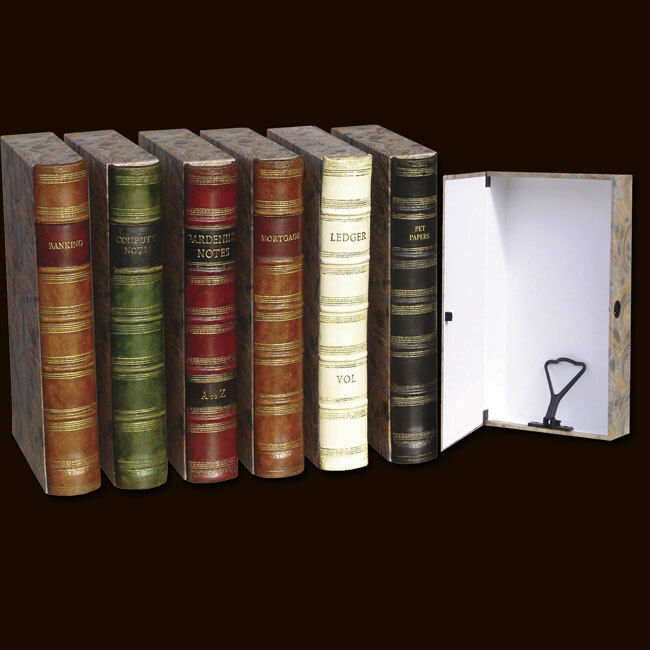 We can even make you a bookcase of your choice to fit these! 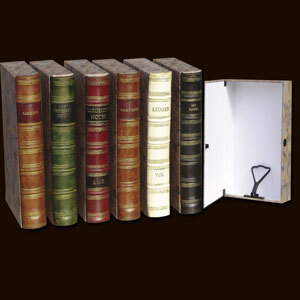 Ref: E0200 Store away your magazines in the bookcase! 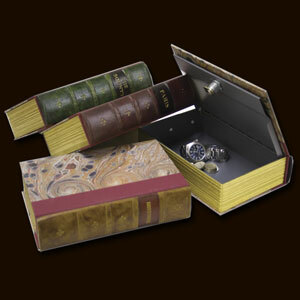 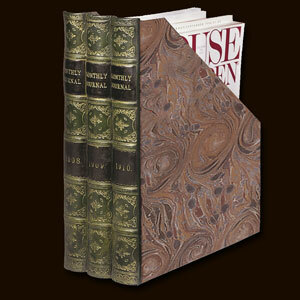 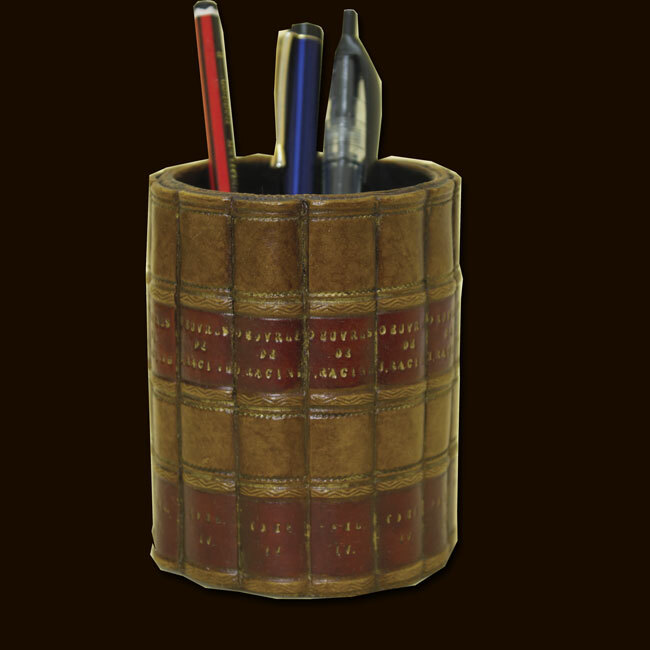 Ref: US125 A hide away for important items and easily tucked away amongst other books. Discreetly conceals precious treasures. Choose from three exciting titles. 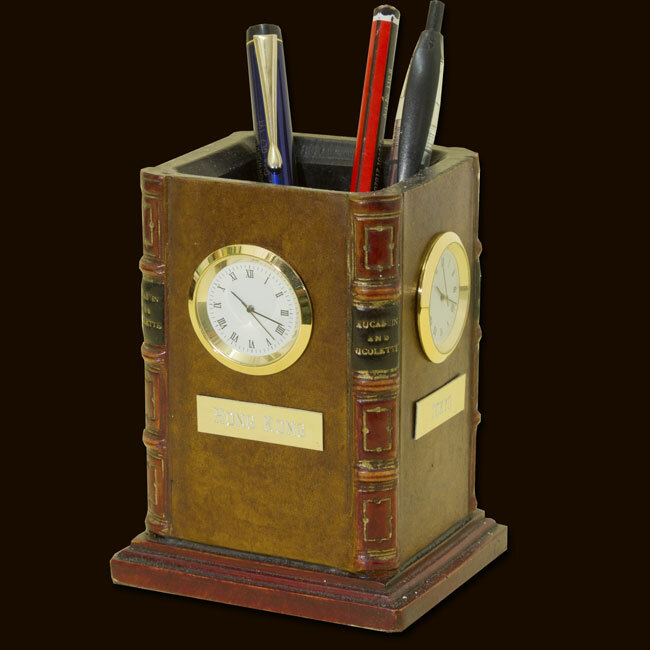 Ref: B0340 Tell the time in a variety of timezones with this great pen pot, clock combo. 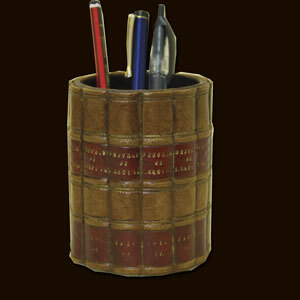 Ref: B0701 Tidy up your desk and make it look better at the same time. This is a very smart filing tray and will let you know what's in and what's out. 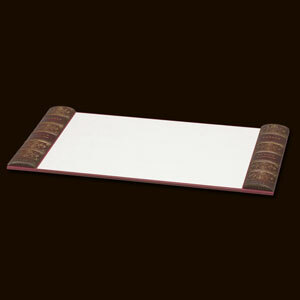 Ref: B0712 Transform your desk with this desk blotter. It comes with a sheet of white blotting paper in and is ready to go straight on the desk.